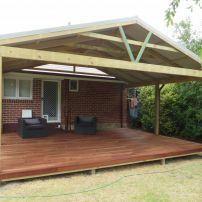 commented on "Gable Roof Patio"
This gable roof patio is 5 X 5, just the right size for a small family. 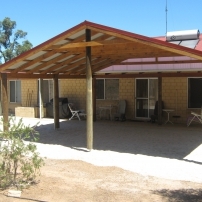 commented on "Gable Roof Patio and Deck"
Gable roof patio with deck underneath. 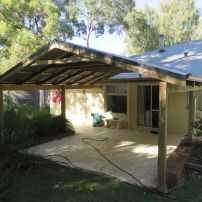 commented on "Large Cable Roof Patio"
commented on "Large Gable Roof Patio"
This patio has been built on the existing concrete slab. 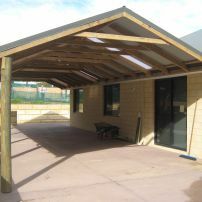 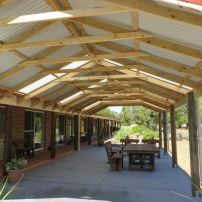 commented on "Skillion Roof Patio"
commented on "Small gable roof patio"
The inside view of small gable roof patio.